Many consumers are confused by the various claims made by advertisers about LASIK. 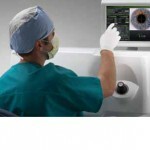 Many LASIK providers claim to have the “latest technology” or “most advanced technology”. Some consumers assume that LASIK provided anywhere is the same. Is there a difference between different types of LASIK and is so is there any “best LASIK”? LASIK is a general term referring to a vision correction procedure consisting of two steps: the creation of a flap and reshaping of the cornea underneath the flap. Both steps of the LASIK procedure have had refinements over the years and several different medical companies have offered instruments used in the procedure. LASIK surgeons are free to use instruments from any company they choose to perform vision correction. And just like the making any purchase decision: a car, a computer, a dishwasher etc., a variety of factors, including cost, quality and reliability can come into play in deciding what instruments a LASIK surgeon decides to use. Not surprisingly, the better quality instruments cost more to purchase and use than lower quality instruments. So what are the various choices in LASIK technology? Basically it comes down to customization and precision. The more “customizable” and precise the technology, the safer and more reliable the oucome. The iFS model of IntraLase laser is the most sophisticated laser to make the LASIK flap. For the flapmaking step of the LASIK procedure, at present, the most sophisticated and safest method is using AMO’s iFS laser. It has the lowest complication rate and offers the most secure flaps. AMO’s CustomVue technology uses wavefront mapping to yield the highest quality vision with fewest side-effects. 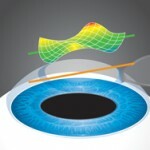 For the vision correction part of the LASIK procedure, the undisputed best method to reshape the cornea is using AMO’s CustomVue technology. This method gives the highest percentage of 20/20 results and the lowest incidence of night time side effects such as starbursting around headlights. So while selecting the “best” car or refrigerator may not be obvious, the clear choice for the best LASIK procedure is the OmniLase technique: the combination of a customized LASIK flap with the iFS laser combined with AMO’s CustomVue technology.